Exeterites! Exetonions? Exetites? 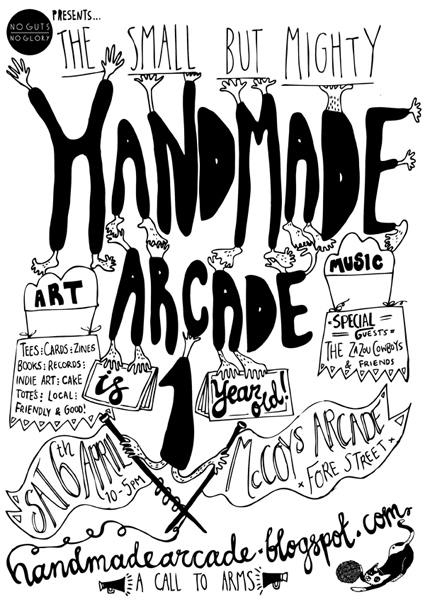 People of Exeter, come down to McCoys Arcade, Fore Street, this Saturday and you will be astounded at the plethora of magnificent items on sale at the Handmade Arcade (my items among them, of course). You want whimsical, hilarious cards, prints and postcards for mere pounds, I hear you cry? Well look no further! Also, rumour has it that there’s extra cake because it’s Handmade Arcade’s 1st birthday.